The new capabilities with SmartUX 6.0 have further accelerated our app delivery initiatives, providing us with a full-service platform for rapidly scaling our mobile app portfolio. PowWow Mobile, the leader in enabling enterprises to simplify and extend business apps to mobile, today announced the general availability of version 6.0 of its industry leading solution, SmartUX. The new platform enhancements deliver the ultimate in high-productivity and high-control, enabling citizen and pro developers with the fastest and easiest solution to design, deploy and manage an enterprise app portfolio at scale. SmartUX 6.0 addresses two major challenges enterprises face with scaling their mobile app strategy: the scarcity of skilled resources needed to build and maintain cross-platform mobile apps and the rate at which these apps are deployed to meet demand, stay competitive and drive broader digital transformation objectives. The latest release from PowWow extends the platform's powerful application modernization and mobilization capabilities by further simplifying the entire enterprise app development lifecycle, enabling both IT and lines of business to deliver net-new apps at unprecedented scale. Create visual workflows and easiest-to-use data integration for unifying multiple data sources and workflows into a single Mashup app with SmartUX Connect. Easily extract data, logic and workflows from any web, Windows, Java, custom-built application, or Mainframe application with or without available APIs using SmartUX Explorer. Integration with latest release of Angular 4 and Ionic 3, bringing an unprecedented level of control for building hybrid apps with best-in-class UI. Jump start app projects with new pre-built micro-app templates: People Finder, QuickApprove and Time Cards for mobilizing common enterprise workflows. Over one hundred new universal templates for acceleration of building common screens such as login, list view, etc. Extensive library of custom components to easily construct consumer-grade apps with the ability to add custom code when needed. One-click app publishing with support for leading enterprise mobility management solutions such as VMware AirWatch and Blackberry Dynamics through drag-and-drop SDK implementation. Secure apps from the start with pre-integrated security and identity at the app design level within SmartUX Studio. Integration with APIs from any existing enterprise iPaaS and PaaS systems such as Dell Boomi, Mulesoft or customer internal systems. Extensible connector framework to easily integrate with third-party cognitive services for voice-based assistants such as Alexa, Google or Cortana and conversational applications with chatbots. Support for app security through facial recognition and voice authentication and intelligent notifications that inform users of actions to take based upon location, time, or day. "The need to modernize legacy systems as well as design and build new custom apps at scale is driving our digital transformation initiatives," said Ben Webb, Director of IT Platform Solutions at Flex. "With PowWow, Flex was able to standardize on one platform, centrally managed by corporate IT but used by citizen developers across our organization. The new capabilities with SmartUX 6.0 have further accelerated our app delivery initiatives, providing us with a full-service platform for rapidly scaling our mobile app portfolio." "SmartUX 6.0 is a break through release for us, our customers and partners," said Jonathan Kaplan, co-founder and chief technology officer, PowWow Mobile. "Enterprise mobile app development has typically required technical skills that are not in abundance within many organizations, resulting in massive app backlogs. This latest release even further simplifies the app development process by empowering citizen developers with the right tools to create apps and digitize workflows, enabling organizations to accelerate and scale their app portfolio far faster than ever before." Click here to learn more about SmartUX 6.0. Reserve your spot for our upcoming webinar with Chris Marsh from 451 Research to discuss the key drivers empowering business teams to deliver apps at scale. 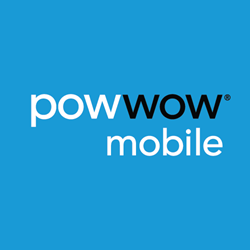 PowWow Mobile is redefining the mobile enterprise. Our rapid mobile app solution, SmartUXTM, enables organizations to simplify and extend business apps to mobile by modernizing and streamlining existing processes to deliver new and intelligent "enterprise to edge" experiences. Built on best of breed open technology, SmartUX provides a low-code, drag and drop environment for rapidly creating and deploying secure cross-platform mobile apps. With unmatched accessibility and ease-of-use, our solution facilitates collaboration between IT and the business, significantly reducing backlogs and accelerating time to value. Enterprises in the financial services, manufacturing, telecom, software, transportation, consulting and the public-sector industries trust PowWow Mobile to empower their anytime, anywhere workforce; increase agility and competitive advantage, and drive innovation and productivity through smart business mobile apps. Based in San Francisco, PowWow Mobile has garnered prestigious awards and recognition from AOTMP, Compass Intelligence, Gartner and more. Learn more about how PowWow Mobile is redefining the mobile enterprise at http://www.powwowmobile.com, on Twitter @powwowmobile or on LinkedIn.